General Store Visit the General Store where you can buy soda and snacks along with hand-made items made by Fiddlers Grove very own in house artisans. 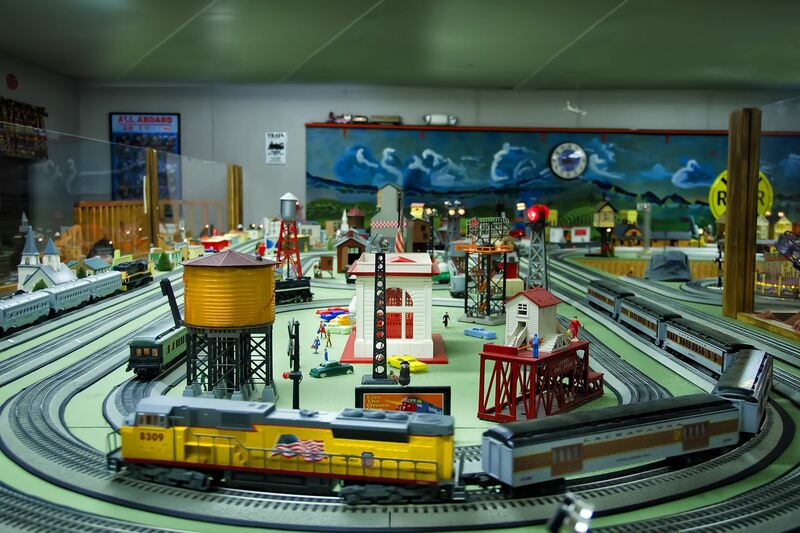 Train Museum If you have kids or you are a kid at heart, you have to visit the Train Museum. Trains will be running throughout the day. All aboard! Grist Mill Visit the Livesay Grist Mill to watch corn being ground. 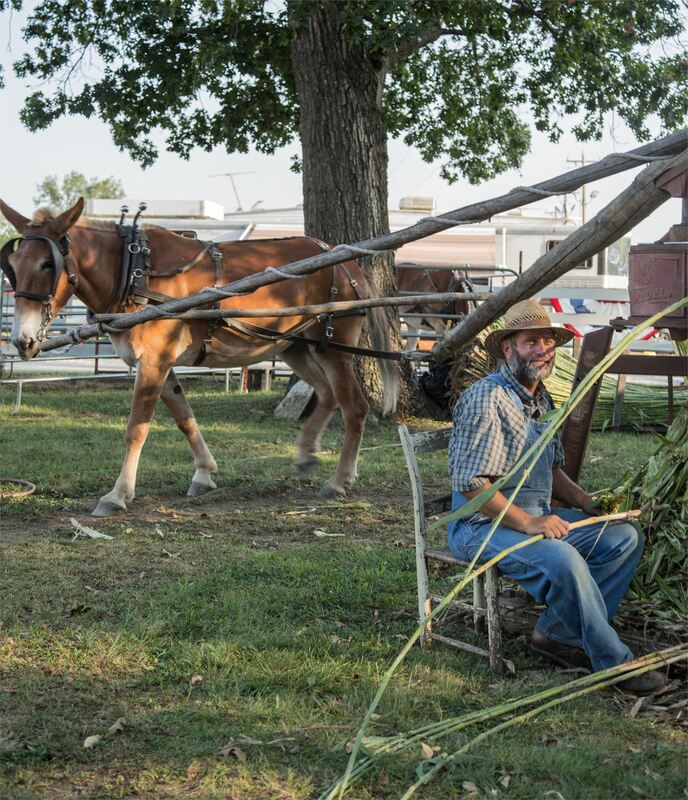 There will be corn meal for sale during the Fair. Blacksmithing Come and the visit the Blacksmith Shop in Fiddlers Grove. 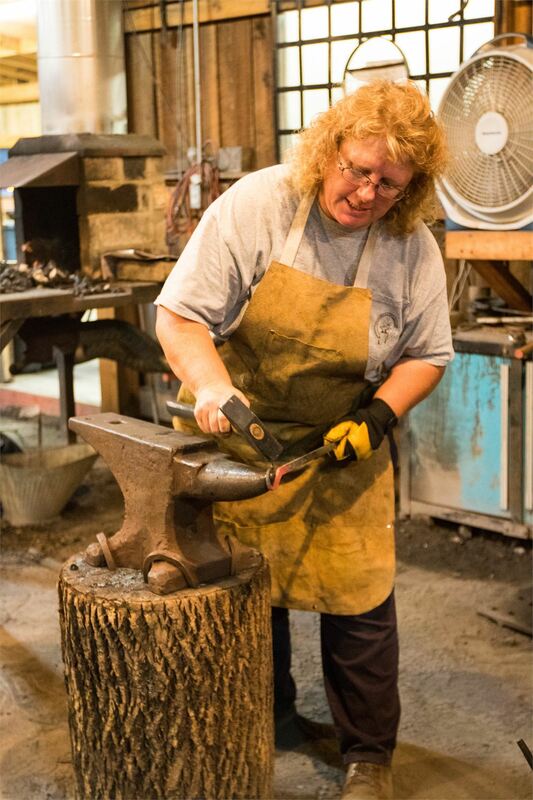 Watch Blacksmiths turn metal into everything from spoons, forks, knives to works of art. Quilt Making Quilts were not only used to keep warm at night, but also hung up on walls and windows that were drafty. 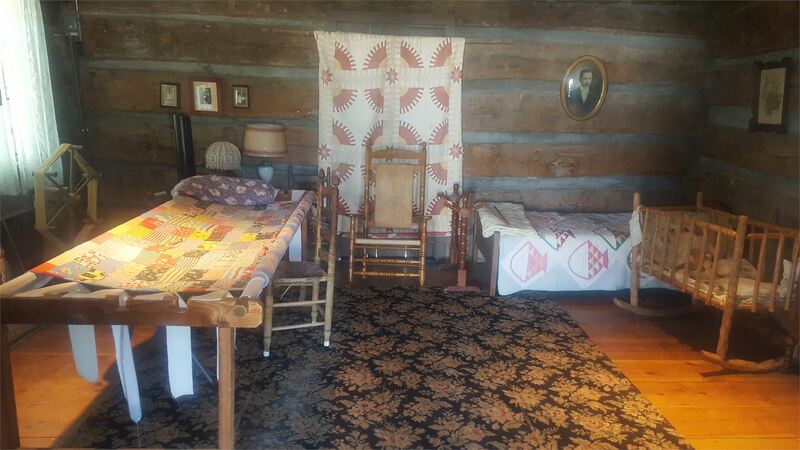 Watch ladies dressed in period clothing hand quilting quilts. 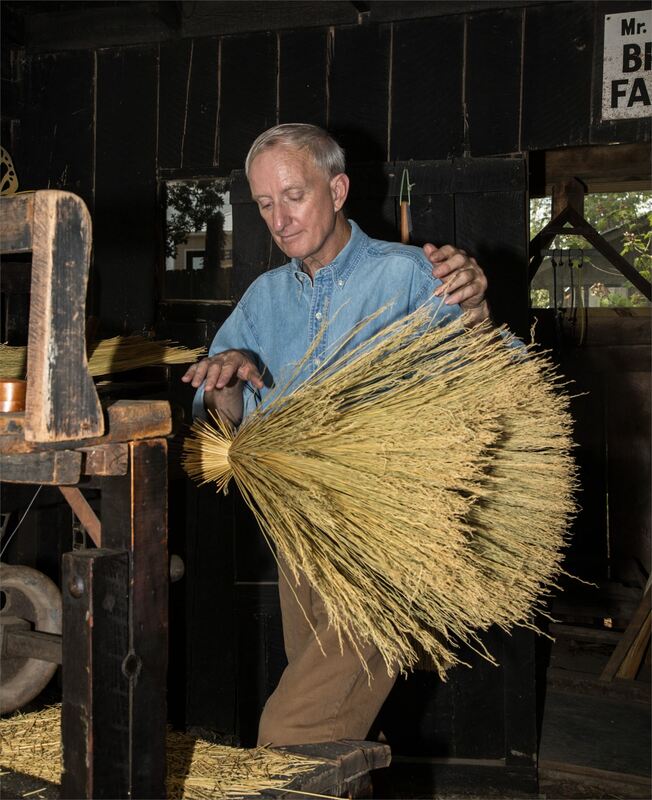 Broom Making Watch one of our artisans create a hand-made broom. He is located at the Broom Factory next Mr. Luther's Blacksmith Shop. Sorghum Making Muddy Pond Sorghum will be in Fiddlers Grove using their horses or mules on a horse drawn mill and boiling down the sorghum juice to sorghum syrup. 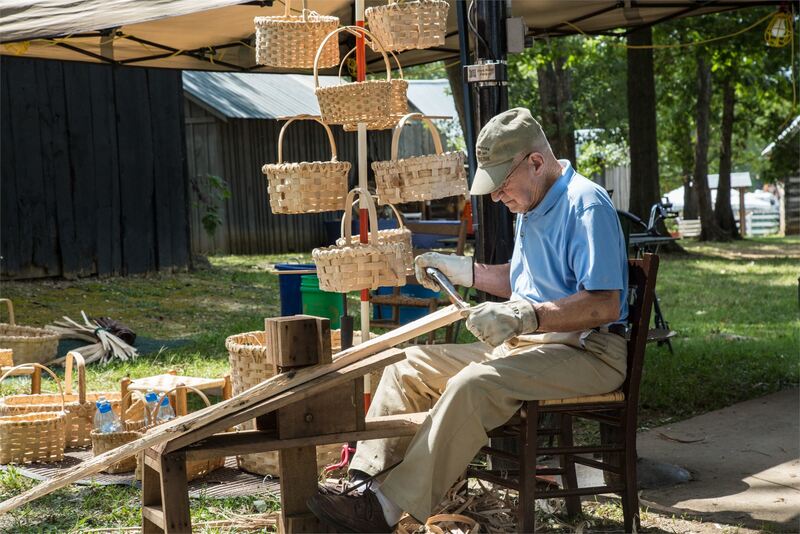 Basket Making Watch artisans make hand-made baskets that you can purchase during the Fair. 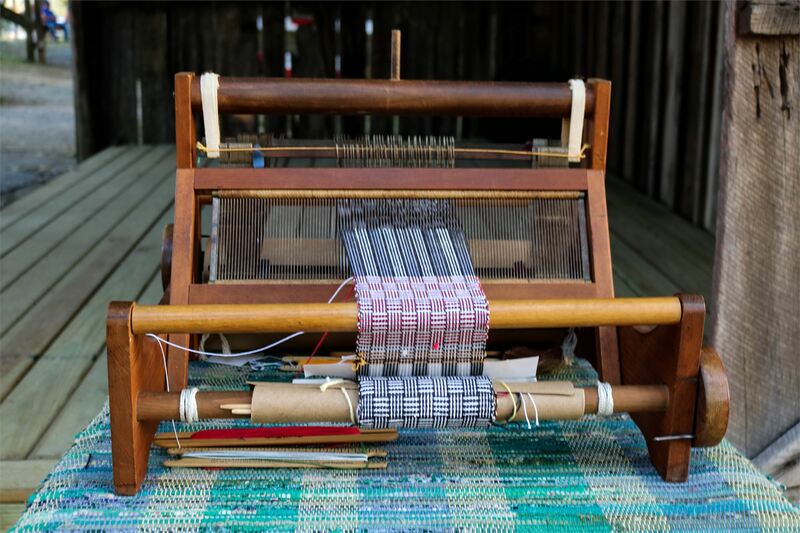 Spinning & Weaving Artisans show how yarn is spun and how it is then made into fabric. 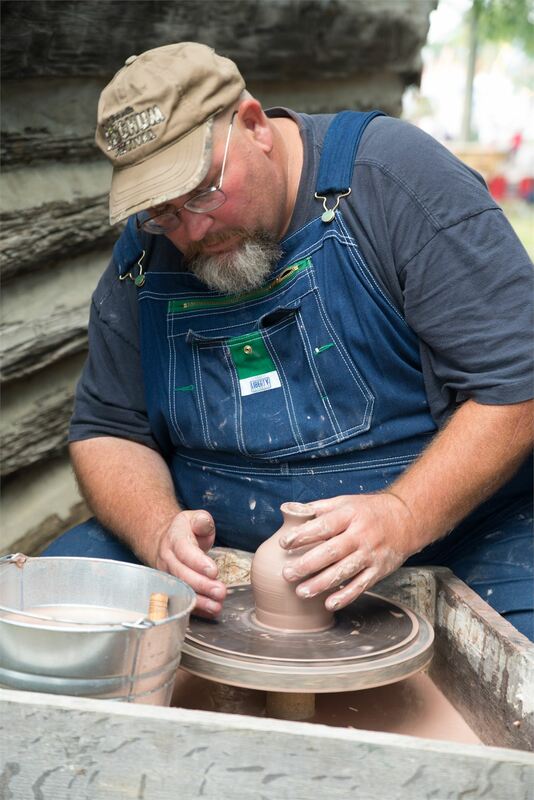 Pottery Making Watch artisans make bowls, vases and other vessels right before your eyes. Chickens in the Grove Chickens were a mainstay in pioneer times. 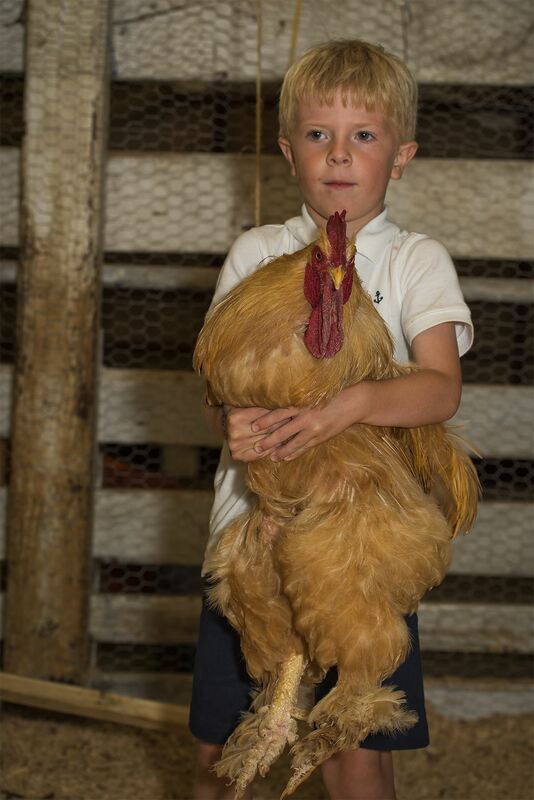 Come visit the Grove's chickens during the Fair and learn about their importance during that time. A thank you goes to Edward's Feeds for providing the chickens and for refurbishing the coop to keep them safe. Wilson County Master Gardeners Visit the Wilson County Master Gardeners and walk through their beautiful Demonstration Vegetable Garden. 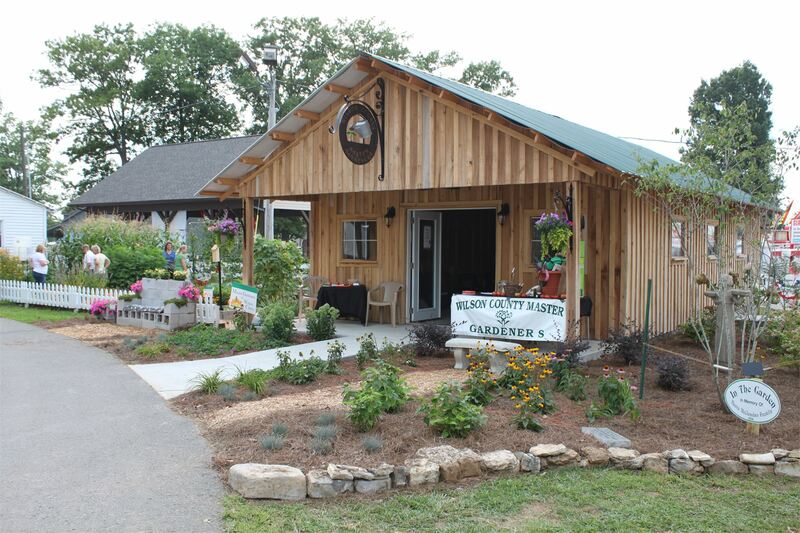 Master Gardeners will be available to answer all your gardening questions. Back Porch Stage Come see nightly entertainment on the Back Porch Stage! The stage is located on the back of the General Store. Come see nightly entertainment on the Back Porch Stage! 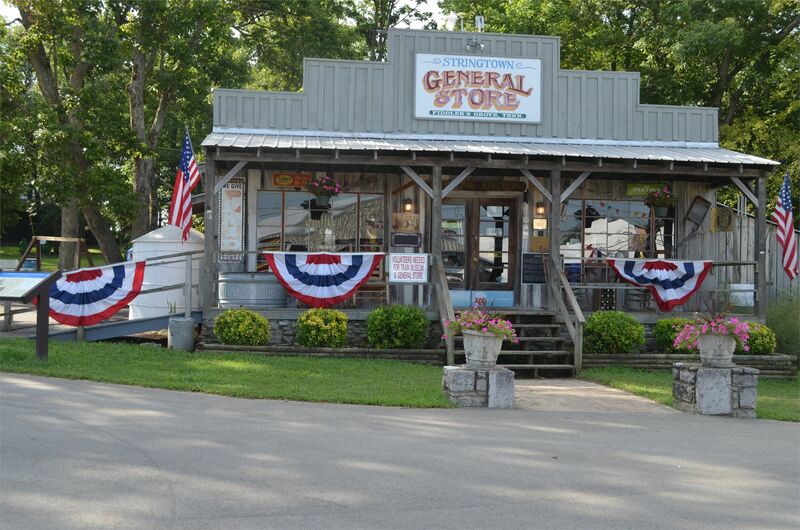 The stage is located on the back of the General Store. 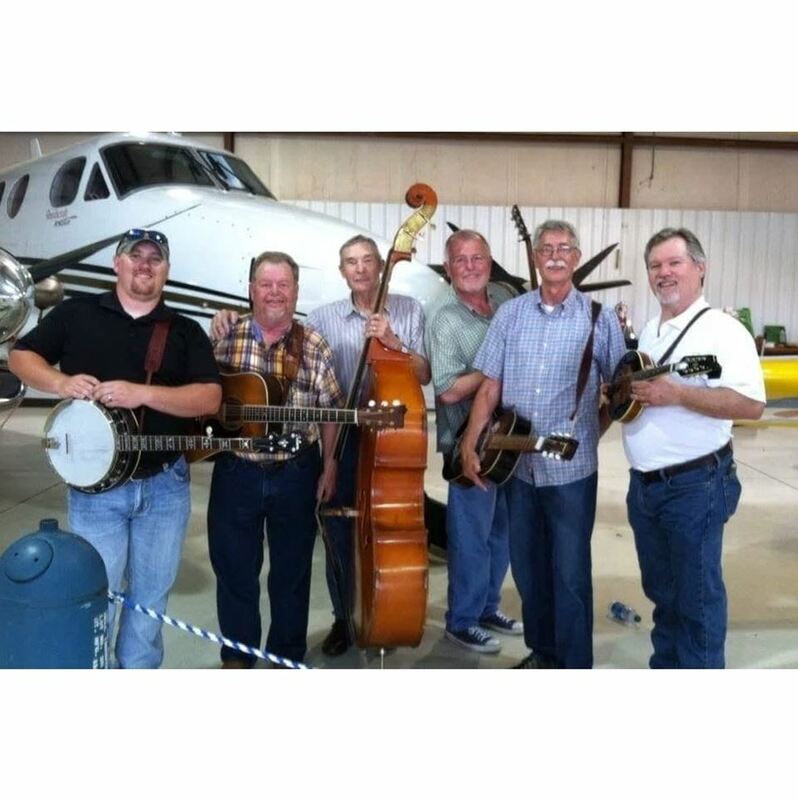 Fiddlers Grove Opry The Fiddlers Grove Opry Stage has live entertainment nightly beginning at 6:45 pm. There will be surprise nightly guests, along with nightly WSM personalities. 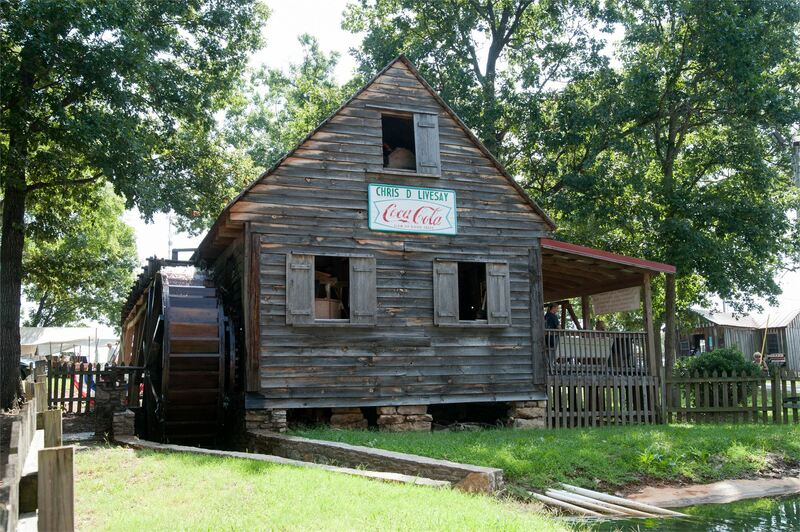 The stage is located by the Windmill in Fiddlers Grove! 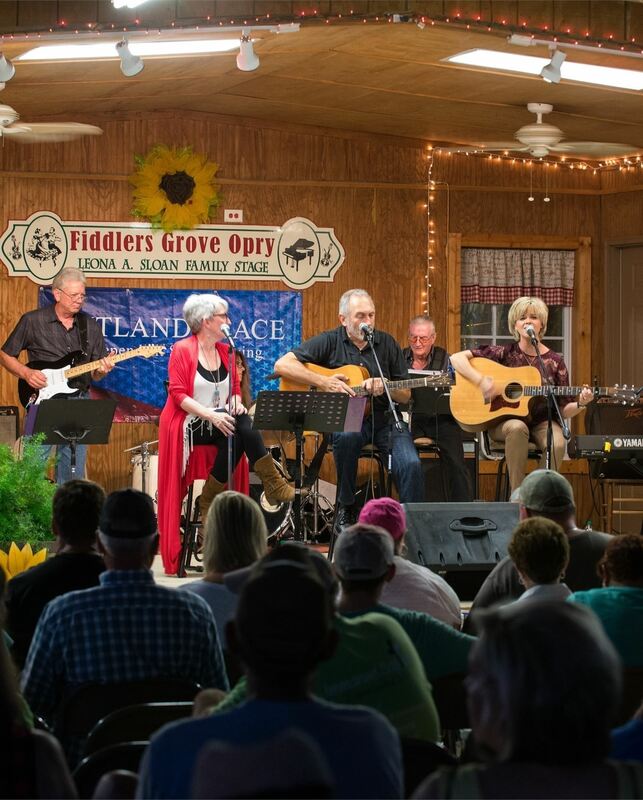 The Fiddlers Grove Opry Stage has live entertainment nightly beginning at 6:45 pm. There will be surprise nightly guests, along with nightly WSM personalities. The stage is located by the Windmill in Fiddlers Grove!